Hypnosis and suggesting images of change. 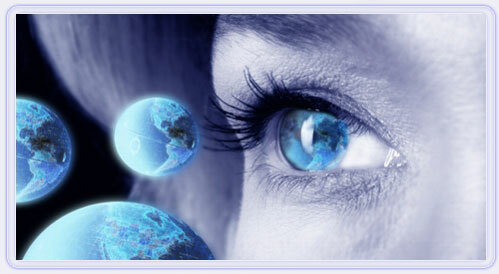 Images of change through hypnotherapy. Hypnosis has been known since 1500 BC. Hypnosis or healing by trance state, or an altered state of awareness, is among the oldest phenomena known to man. It is found, in one form or another, in virtually every culture throughout the world. The earliest references to hypnosis date back to ancient Egypt and Greece. Both cultures had religious centres where people came for help with their problems. It was used to induce dreams, which were then analysed to get to the root of the trouble. In hypnotherapy, we bypass the critical faculty, and establish acceptable thoughts by suggestion. This does not mean that every suggestion is accepted. If that were the case, we would have no choice but to act on every suggestion given while in trance. This is the fallacy that movie writers and myths would have you believe. The words "acceptable thoughts", are of the greatest importance in the definition of hypnosis. You will not act on any suggestion that threatens you in any way, or to any degree. This is a built-in safety feature. When the critical faculty is bypassed, a protective mechanism is still in place as guardian. So when you are given a suggestion while in a hypnotic trance, you can still make a decision as to how you will accept that suggestion. Remember the Analytical and Rational parts of the mind have been set aside with the rest of the conscious mind. The conscious mind can listen in, while the therapist directs suggestions to the unconscious mind. Your unconscious mind is like a small child that loves you very much. It will accept positive, image based suggestions toward a desired change. The synergy of hypnosis and NLP facilitates change. Have you ever been so absorbed in a book, TV program, or movie to the exclusion of everything else? Have you ever been doing something and wondered how you got there? Do you practice meditation, or daydream? These are all commonly occurring examples of going into or being in a hypnotic trance. So really it is only a state of relaxation with an altered state of awareness whereby the unconscious mind can then accept positive suggestions. In fact, we pass through this state on the way to sleep, so we recognize it as being a very pleasant and comfortable state of being. Whenever a person enters a state of trance they feel total relaxation, and upon leaving this natural state they feel wonderfully calm, extremely relaxed and are never unsure of hypnosis again. Today most people recognize that the mind and body interact. Our mind and body are fully integrated parts of a whole being...a change in one part affects the other. In practice, the therapist enlists the power of the client’s own imagination and may utilise a wide range of techniques from story telling, metaphor or symbolism, (judged to be meaningful to the individual client) to the use of direct suggestions for beneficial change. The healing synergy of hypnotherapy and NLP can create the most profound changes in people by replacing limiting beliefs and thought patterns with positive alternatives. If we add energy healing to the mix, we add another dimension again.